10th Anniversary and London debut! 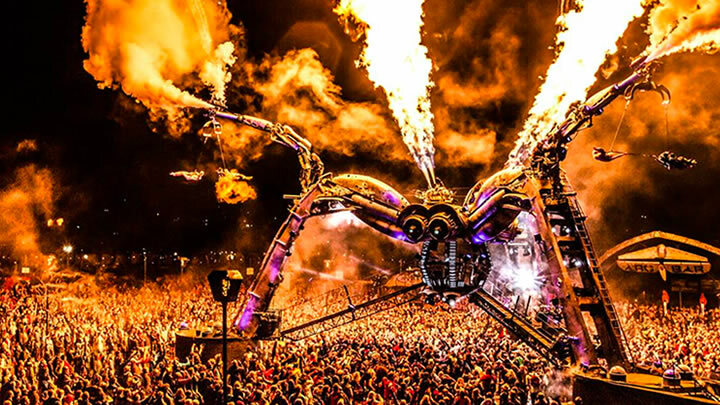 Finally…the masterminds behind Arcadia are bringing their massive show to London to celebrate their 10th Anniversary! If you have ever seen the Arcadia spider before you will understand what all the fuss is about. It is, without doubt, one of the most awe-inspiring spectacles of all time! We were lucky enough to witness a third of Glastonbury (approx. 50,000 people) all come together to enjoy the genius that is the METAMORPHOSIS of the giant spider last year. With the Lords of Lightning taking centre stage, it left us paralyzed to the spot before scrapping up our jaws from the floor! The metamorphosis show is outstanding and should be witnessed by everyone at least once!